On August 5, 2013, Lionsgate acquired the television rights for Sylvia Day's Crossfire Series. Â While picking the actors who play the characters maybe a pipe dream as was demonstrated by the casting of Fifty Shades Of Grey, we fans can use this forum to express our preferences for many other things. I would hope that we could receive consideration for "fan favorite" scenes, dialogues and concepts as well as music, my personal favorite. We know, I hope, that Â Sylvia will write her story of Gideon and Eva no matter how many suggestions we list for the last two books on this forum. Â But we also know some of us will see our choices from her books portrayed in the television series. Since the publication date for Captivated by You has not been released as of today, we can fill our time by making suggestions from the first three books for now. I do not want to be a party pooper so do fill free to post your personal choices for actors to play any character you like. For actors, remember Gideon is 6' 2" so hopefully your picks will be at least 6'. 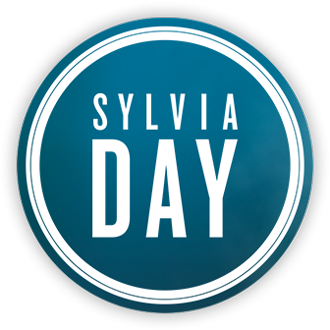 On August 5, 2013, Lionsgate acquired the television rights for Sylvia Day's Crossfire Series. Â While picking the actors who play the characters may be a pipe dream as was demonstrated by the casting of Fifty Shades Of Grey, we fans can use this forum to express our preferences for many other things. I do not want to be a party pooper so do feel free to post your personal choices for actors to play any character you like. Leaves out Tom Cruise!! LOL. He was cast as Jack Reacher who is supposed to be 6'5" and 240 and VERY built! I do like the pictures of the current Superman Henry Cavill, but don't think you'll get him on T V. Maybe someone totally unknown. Same with Eva and Cary. I wanted Cavill for Christian Grey and for Gideon. Â Did you see Henry in The Tudors on Showtime? Â He could so play Gideon!!! I have several music suggestions posted under the "Music" topic. Â I will copy them to this topic site as well. Today I am adding "Misery" by Maroon 5 to describe Cary's relationship with Trey. Â I also like "Treasure" by Bruno Mar for Gideon to use to describe Eva in the first chapter of "Bared to You" when he tells her "We're going to happen, Eva." This man could be Gideon. His height is 6' 2" and has "dark and dangerous" looks. Oops, my finger slipped. Anyway, I'm liking this choice. He does long hair really really well. "I am home! Â I'm with you!" I posted the message reprinted below under the "Music" topic. Â People there seem to like it! Most importantly, heÃ¢â‚¬â„¢s the right age. Choosing an actor who isnÃ¢â‚¬â„¢t yet thirty is very important to me. Also, Henry is beautiful. Who doesnÃ¢â‚¬â„¢t love looking at him? He also conveys vulnerability and longing very well. In the last season ofÂ The Tudors, when Brandon fell in love with Brigitte, Henry was stunning in his display of yearning and hopelessness, and love. That said, IÃ¢â‚¬â„¢ve been talking with the producers about the story and their plans for the show, and I trust that theyÃ¢â‚¬â„¢ll find the perfect Gideon. TheyÃ¢â‚¬â„¢re big fans of Gideon and Eva, and theyÃ¢â‚¬â„¢re paying attention to what the readers want and what I want and what will do justice to the story. IÃ¢â‚¬â„¢m thrilled to be working with Lionsgate onÂ CrossfireÂ and IÃ¢â‚¬â„¢m excited about their vision for the series Ã¢â‚¬â€ which is my vision in living color Ã¢â‚¬â€ coming to fruition. Most importantly, heÃ¢â‚¬â„¢s the right age. Choosing an actor who isnÃ¢â‚¬â„¢t yet thirty is very important to me. Also, Henry is beautiful. Who doesnÃ¢â‚¬â„¢t love looking at him? He also conveys vulnerability and longing very well. In the last season ofÂ The Tudors, when Brandon fell in love with Brigitte, Henry was stunning in his display of yearning and hopelessness, ###### and love. I was watching a program last night and Clint Eastwood's son was being interviewed.Â Wowie freaking Zowie ladies!! !Â This was one very good looking young man!! !Â He got every single good looking gene from both of his parents and he appears to be of similar height and eye colour.Â He is also extremely humble and very well spoken.Â What does everyone think? I don't know howÂ C. Eastwood's son looks like, I'll google him for sure. 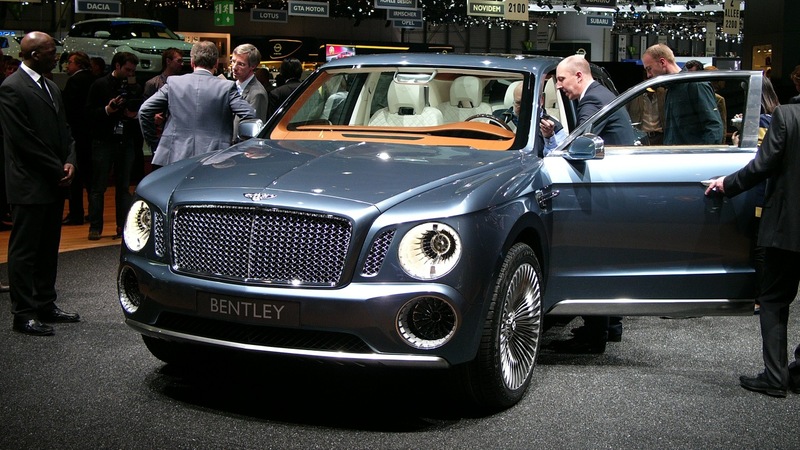 First model of Bentley SUV is a 2015 production model. Â Hopefully it will come out in 2014. Â The series has to have one!!!! There are going to be five books. Should the television series present all five books in one season or should Eva's and Gideon's story be spread out over more then one season? How about Theo James as Cary Taylor? I'm liking Theo James as Cary ! I have to remember to ask Santa Clause for one of those, for Christmas this year! Film all five books at one time and present the results on television like Netflix presented "House Of Cards". Â The entire first season of House of Cards,13 episodes, premiered on the same day. Â This option for the Crossfire series is fabulous. Â Your audience will love you for it. First, this type of production might make more actors available becuase it would be a long movie shot rather than a comment of years. Second, sets and locations would not have to be maintained and/or retained for as long. Third, you can present your finished product when interest is at its peak. Fourth, the series already has a beginning, middle and end.Â Â It is not a story that will continue like a regular television show where new scripts are presented each season until writers run out of ideas. Â It suits the format of a movie but a movie made like a mini-series which allows for character development and details that are so often lost when books are made into movies for the big screen. Fifth, many of your viewers will already have read all the books so there is no suspense. Based on the views of this forum, your primary audience cannot wait for the last two books. Â And if you give us the right cast in your television show, we will ask Santa to put the box set under our Christmas trees or ask Cupid to bring the set for Â Valentine's Day with our chocolate and flowers. Hi Betty totally agree with all of your points. Mini-series are great opportunities for the actors and viewers because they both don't have to devote their lives to a weekly series just weekly for a short period of time. That way they can attract some big talent and a lot of viewers... I say it's a win-win.... LIONSGATE are you LISTENING?? ?